Your heating and cooling systems work incredibly hard to perform their functions for your home every day. The constant stopping, starting and continual operation can wear down any machine if the proper care and maintenance are delayed. However, by performing regular maintenance, you can maximize the lifecycle of your heating or cooling unit and guard against many common equipment failures. Preventive maintenance inspections performed on a regular basis can uncover leaks, rust, rot, soot, frayed wires and corroded electrical contacts that the naked eye may not notice. You should have maintenance done on your system regularly to ensure maximum efficiency and allow prevent possible problems that may occur in the near future. As your local Carrier® dealer, Logan Home Energy Services is your troubleshooting expert and is glad to lp you. 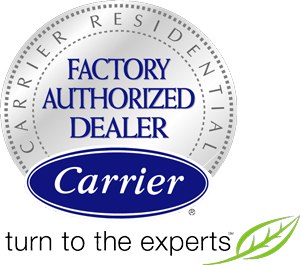 In addition, Carrier® also provides a network of troubleshooting technicians at Carrier® Distribution centers across the country which Logan Home Energy Services will utilize to solve your concern. Should we encounter a situation that requires additional factory help, we will contact our factory supported Service Manager(s) for assistance. Standard filters work to keep your system and its ductwork clean, but they don’t really improve indoor air quality. To do that you need a media filter. The media filter rests between the main return duct and the blower cabinet and will improve dust and particle removal by seven times that of a standard filter. However, upgrading to a pleated media filter will remove everything from insecticide dust to airborne viruses from the filtered air. Always choose a filter that matches your blower’s capacity. For optimum efficiency and filtration, Logan Home Energy Services recommends that you replace your disposable filters at least once a month. If you have washable filters, they should be cleaned once a month. Why can't I find the correct size furnace filter at my local home improvement store for my Carrier® Brand equipment? The filter shipped with your Carrier® unit is made from higher-quality materials than those of the disposable filters found in retail stores. For that reason, replacement Carrier® filters can only be purchased through a Carrier® dealer. However, keep in mind that some Carrier® filters are reusable, and can be washed by hand in cold water. Where can I get parts for my Carrier® equipment? As a Carrier® dealer, Logan Home Energy Services is the best resource for identifying and supplying the correct, current parts for your system, as well as pricing and availability. Which Carrier® equipment will best fit my home? There are many factors that affect the sizing and specifications of your system, including square footage, insulation, window surface and configuration, geographic location of your home, duct sizing and arrangement, and many others. Logan Home Energy Services can perform an in-home load analysis to determine which equipment combinations will perfectly suit your home and your family’s needs. Depending upon the construction of your home, one (1) ton of air conditioning can cool anywhere from 300 to 800 square feet of the home. The only way to ensure the size of the system you purchase will be large enough to cool your home, but not any larger than you need, is to have your home’s individual heating and cooling needs evaluated by a licensed professional. Under the standard factory warranty, Carrier® covers parts that fail during the warranty period due to a defect in the part. The warranty does not cover labor. A warranty certificate was included with your homeowner information packet and is specific to the model numbers, serial numbers and installation dates of your products. If you cannot find your warranty certificate, Logan Home Energy Services will also be able to provide you with the information. Dependable Carrier® products are among the longest lasting heating and cooling products available. For your specific equipment, there are many variables that affect life expectancy, and of course, the regularity of routine maintenance.